Jessica's Promise: An absolutely gripping and emotional page turner - Kindle edition by Jill Childs. Literature & Fiction Kindle eBooks @ Amazon.com. Teresa’s heart stops when she enters her daughter’s bedroom to find that her sweet, trusting little girl is gone. Teresa can’t bear to think who would take a terrified three-year-old from her mother in the middle of the night, but all the signs point to someone close to home. Hasn’t Jessica’s stepfather been acting a little oddly? Or is it, as Teresa is beginning to fear, something to do with Angie, her daughter’s babysitter who lives next door...? Gentle, retired Angie – she must be lonely, with only her memories to keep her company in that big, old house. And she’s always had a special connection with Jessica... was trusting Angie with her precious daughter the biggest mistake of Teresa’s life? What do we really know about those who watch our children? Jessica’s Promise is a compelling domestic drama for fans of Jodi Picoult, Lisa Wingate and Kerry Fisher. 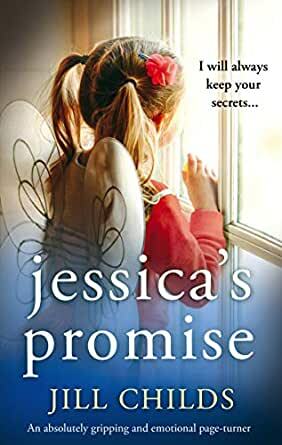 Jessica’s Promise is by Jill Childs. This is a heartbreaking, gripping, and emotional book. The suspense starts at the first page and continues through the book. You know from the beginning that Angie has a secret; but you never know for sure if you have found it. Angie lives alone in the house she, her Mother, and daughter lived in. Everyone has gone but Angie stays. She is a little weird; but children love her. She also has a secret which she doesn’t want to be uncovered. She minds children occasionally, though she is not certified, at a price low income parents can afford. When Craig and Teresa move in next door with their daughters, Fran (11) and Jessica (4), Angie is elated. She had watched the renovation of the house and loved the idea of children in the house. Eventually, when she was in a bind, Teresa asked her to watch Jessica. Though Jessica didn’t say much, she loved being with Angie. Angie believed in magic and had few rules to follow. Eventually, Fran started staying after school as well. Craig was working very long hours and Teresa started managing a hair salon and started working longer hours. Teresa was having problems with a hair stylist and she began suspecting Craig was having an affair. She and Jessica seemed to always be at odds and Fran, who was Craig’s daughter, was sullen and stayed in her room. Then the unthinkable happened, Jessica disappeared from her bedroom! Who took Jessica? Where did they have her hidden? Was she already dead? Everyone she possibly had contact with was under suspicion. Can they find her before anything bad happens to her? 3.0 out of 5 starsPromises Promises? Jessica ‘s Promise just did not deliver for me. I didn’t find much to like in any of the characters. In fact, most of them totally turned me off, even Angie who’s the most likeable is wonky and unsound due to earlier circumstances. I liked Jessica but she seems to be untenable, even for a three-year old. And the mother figure, Teresa is a mess as is her lover Craig. Teresa has work issues with a jealous vindictive co-worker and is therefore gone for such long days leaving her biological child Jessica, (from a one night stand) with her neighbor Angie. She becomes suspicious of Craig, the lover who divorced his wife for Teresa and remodeled a home for her. He suddenly starts coming home really late with alcohol on his breath and strange messages on his phone. Round this out with Fran, a somewhat sullen 11-year old from Craig’s first marriage and you’ve got a kettle of brew from which to draw upon for what ultimately happens to Jessica. Though the author tried to throw the blame around to keep her reader’s in suspense, it just did not go over well, IMO. The characters in general were not well fleshed out, the tension is sorely lacking, as is the plot line. The reader is well into the story before anything shocking even happens, although all along hints are dropped that lead you around the circle of suspicious characters. 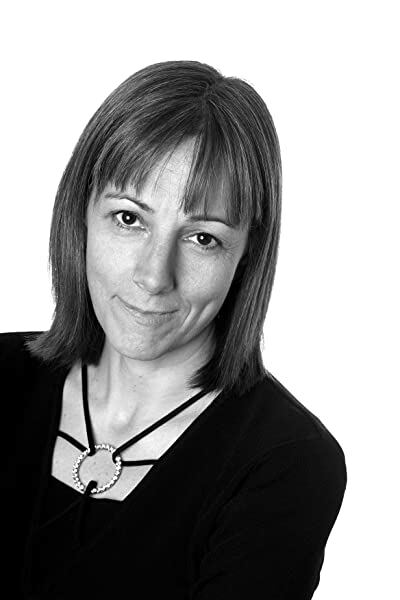 I think Jill Childs is a strong writer, knows her topic very well, and her theme will resonate with most readers of this type of story. I did not find it to be a gripping emotional page-turner. It’s an easy read and you’ll be drug into the plot just to see who is ultimately responsible. Finally though, I would have expected Jessica to be much more traumatized than she finally appeared when considering the circumstances. And Craig was such a contradiction from his original character. How do people go through such machinations and huge life decisions only to find themselves in such unseemly circumstances? When all the facts are on the table and we have a tangle of circumstances there seems to be some open threads that are left dangling. Even though the big problem is resolved, we are left to speculate about a number of issues Ms. Childs has thrown into this melting pot and I am left bereft of answers to questions that were used as plot devices throughout the novel. Overall, a solid story which seems to have drawn a strong link with many readers. The first half of this book was excellent, you really got to know the characters and it kept me very interested. However, the second half, after Jessica went missing, was just weird, and hard to follow at the end. I still don’t know what Jessica’s secret was, or who, exactly, was responsible for her disappearance. It also seemed far fetched to me that Jessica could have possibly stayed where she was all of those days she was missing without being deeply traumatized. Then there’s the fact that Craig couldn’t be home even for one night, and the explanation that he gave as to where he was those nights was preposterous. Also, what did the entire last chapter mean? If the second half of the book was as well written as the first half, I could have easily given five stars, but in my opinion, it just wasn’t. I consider myself to be an intelligent person, but I just didn’t get the end of this book. If anyone would care to explain it, please do. I marvel at the way Jill writes with so much detail making each character real in physical description and personality. She is able to keep the reader wanting to know more about each one. Often when authors use children in fiction they completely miss the character in action and in language. Jill knows children and creates one who. Is total in every detai. Jessica is a three year old throughout the story loved and adored by Angie, loved by her mother but also a pain and bother to her, cared about by her stepdad and cared for and understood by her 11 year old stepsister who loves her but like all big sisters can be bugged by Jessica. One of these main characters or associates of them is suspect when Jessica comes up missing. The tensions build up to that point and then the characters’ secrets open up for Jessica is not the only one with a secret. A great read full of suspense that will keep you spellbound. As soon as you begin reading you know things are going to go downhill fast. Although the characters don't realize it. Secrets get in the way of communication. Betrayal and deception run rampant throughout. The reader can almost feel that something is about to crash down around them. Then it happens and you don't really know until the end what was causing the dysfunction and finally the abduction. Good read.